Since the Middle Ages, the Japanese have learned to appreciate the beauty and practicality of the kimono. The garment has lost none of its excellent features over the course of time. The Tokyo bathrobe has taken the visual and practical advantages of the kimono and incorporated them into a modern bathrobe. The terry bathrobe is made of 100 % cotton. Its two patch pockets offer sufficient storage space for all items that the wearer of a bathrobe would not want to do without. The attached belt holds the bathrobe securely together and accentuates your silhouette perfectly. You can purchase the Tokyo bathrobe either with a shawl collar or as a kimono. 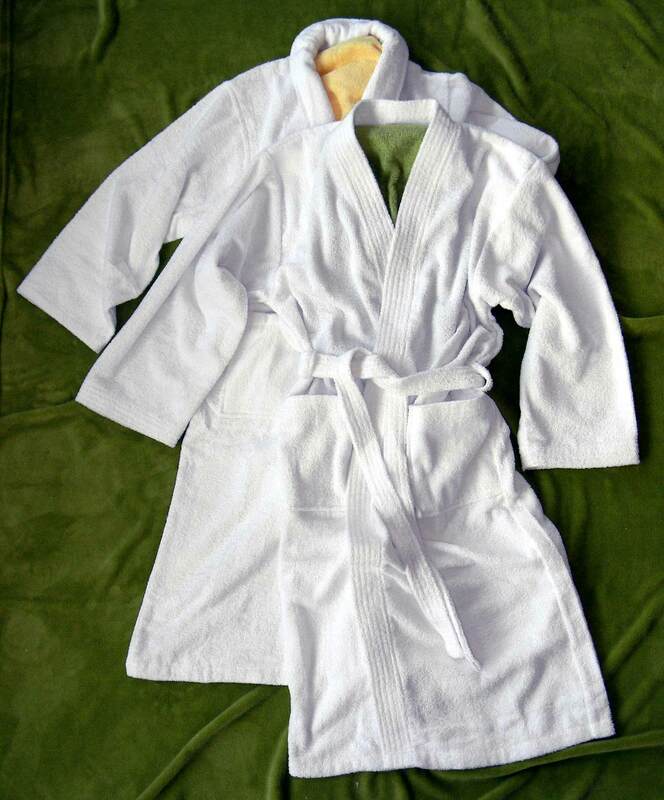 The Tokyo bathrobe is available in various sizes from M to 3XL. Whichever model you choose ‒ it is the perfect companion after a bath, shower or sauna session.